Sail the pristine waters of the Siolim River during an insightful, overnight tour along the beautiful backwaters of Goa. 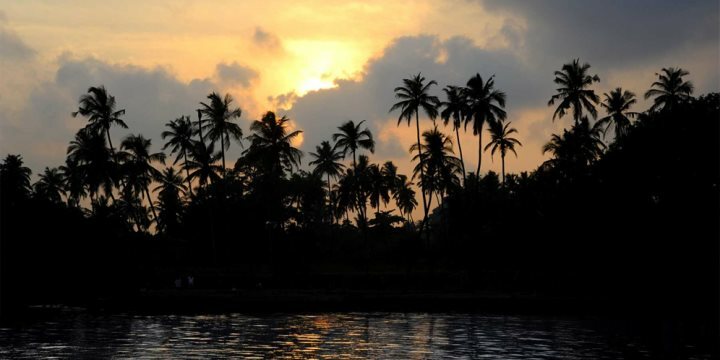 The life of the backwaters is the focus of this rewarding tour along the stunning Siolim River, introducing you to the traditions of the state, including riverbank farming and cockle fishing. The Houseboat departs the Siolim jetty late afternoon, cruising past the 16th-century Chapora Fort and local fishermen in their colourful boats along the way, before heading towards the open sea to spot dolphins or swim on the deserted Morjim Beach. After a glorious sunset, the Houseboat will cruise into the backwaters before mooring up for the night and serving up a hot Goan dinner after a relaxing drink atop of bobbing of the water. You’ll wake up the next morning to the gentle chirping of birds, before tucking into a fulfilling breakfast, and if you are lucky, an accompaniment of fresh smoked clams and mussels will also adorn your plate. The houseboat will then start its final cruise back down river, passing ancient fishing villages dotted with temples, churches and coconut groves before arriving at the jetty early afternoon for your ride back to your hotel. You will be able to book this excursion either in the UK or on arrival/ during your holiday to Goa.